Lewis Hamilton is quite the polarising figure in Formula One. But then again, the same sentiment is regularly applied to fellow world champions such as three-time champ Ayrton Senna and seven-time victor Michael Schumacher. The Briton’s contentious lifestyle away from the track, involving extensive work in the fashion industry and involvement with Hollywood celebrities, has been a talking point throughout the more recent years of Hamilton’s career – however when it comes to racing, his name is now amongst the greats. A fifth title clinched at the Mexico Grand Prix put the 33-year old on par with Juan Manuel Fangio’s haul of championships, becoming only the third driver in the history of the sport to achieve a quintet of titles. Clinical is one adjective to describe the 2018 season for the Mercedes AMG driver, having weathered the storm brought unto the championship by an improved Ferrari and Sebastian Vettel. As much as the Scuderia had pushed the Silver Arrows, they ultimately shot themselves in the foot again in the latter part of the season – whilst Hamilton convincingly took control. 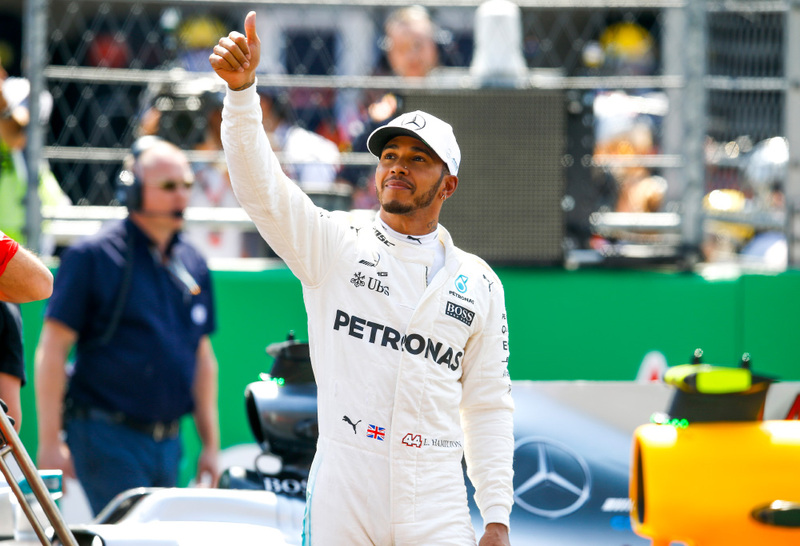 While it is the nine victories that stand out in Hamilton’s campaign towards the fifth title, it is the supplementary podiums that also should be highlighted as the days where he made the best of a bad situation. Including the fourth-place finish in a challenging race in Mexico City, the Brit has only failed to finish on the rostrum four times – speaking volumes of his consistency. Flashpoints such as capitalising on Vettel’s implosion at Hockenheim and then dominating Ferrari in Hungary, where they were expected to win, are also examples for where Hamilton and Mercedes AMG demonstrated their ultimate synergy, which has continuously been building since he arrived to Brackley in 2013. The win in Italy too, was significant for not only the championship, but a stamp of authority on Ferrari’s home turf – that despite their deficiencies on the car in comparison to their rivals in red, the Silver Arrows were able to adapt and overcome. So, with five titles achieved from 71 race wins and 81 pole positions across 12 seasons; the once doughy eyed and chubby kid who walked through the doors at McLaren as a Formula One driver over a decade ago, looking only to emulate his childhood idol Senna, can firmly be placed into the debate of being the greatest of all time. 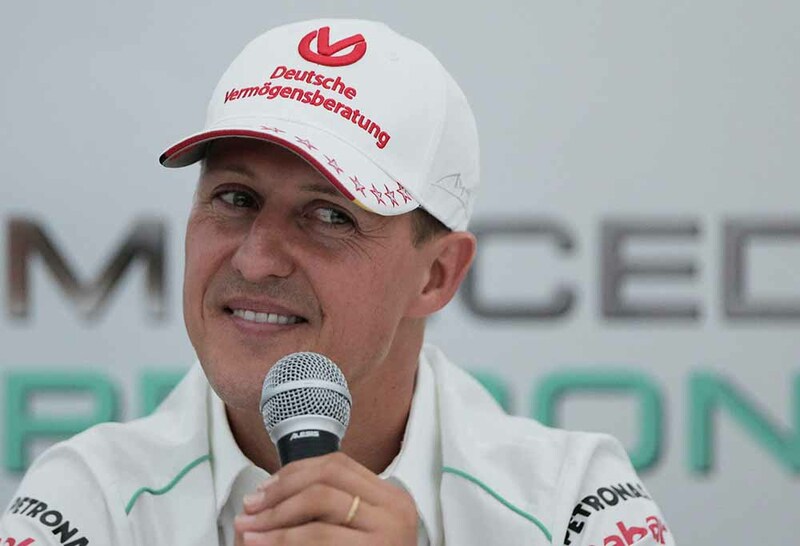 Humbled by such monikers, Hamilton himself still denies that he has achieved enough to call himself the GOAT, believing that Schumacher’s tally of seven titles still makes him the greatest. “Michael’s still quite far ahead in race wins so you have to say he’s still the ‘GOAT’, Hamilton told Racefans.net. Highlighting the different in era in which the likes of Fangio raced is quite important, given that modern Formula One is far more advanced and much safer, with more races to contest. However, it is still quite the challenge and with the increased pressure from Ferrari this season – the victory is even more deserved. Stating too that at some stage that competitive spark will run out too, is a reminder that Hamilton may not have long left in his career, with another two seasons left on his extended contract with Mercedes AMG. With the status quo set to remain, as far as the pecking order is concerned, there is every chance that we see Hamilton eclipse the record of championships and race wins set by Schumacher back in 2004. Unless of course, Ferrari can mount and sustain a championship challenge across the span of the season or we see Red Bull in their new partnership with Honda immediately thrive, there is no reason why Hamilton will be denied title number six in 2019. Especially too, given the unfortunate position that the highly esteemed Valtteri Bottas finds himself in, as the compliant wingman within Mercedes AMG. A position that Hamilton’s former teammates such as Nico Rosberg and even Fernando Alonso would’ve never adhered to. Though despite all these accolades and feats on the track, it is still inevitable that the Briton will have his cynics. Perhaps his impact on Formula One and his accomplishments will be appreciated more once he retires and leaves behind that legacy. Regardless of whether his lifestyle is everyone’s cup of tea or not, Hamilton’s savvy presence has done wonders in increasing the sport’s exposures to markets previously untapped and that also is a feat as part of the Hamilton legacy. We may chastise him for his faults, but no sportsperson is human without them – regardless of their achievements. Senna, Schumacher and the countless other champions of world sport. If anything, it is those faults that make Hamilton unique and regardless, cannot deny the status him the of GOAT – if he can attain that seventh title.